Go Green with Lets Go Fundraising’s All Natural Soy Candles! Now your team can offer a “GREEN” fundraiser! Our high-quality, all-natural soy candles are made from soy bean flakes from the midwest, but hand-poured with aloha right here in Hawaii. These attractive six-ounce gold tins come in a variety of fragrances including Gardenia, Lavender, Vanilla, Brownie, and Apple Spice. We also offer seasonal fragrances. 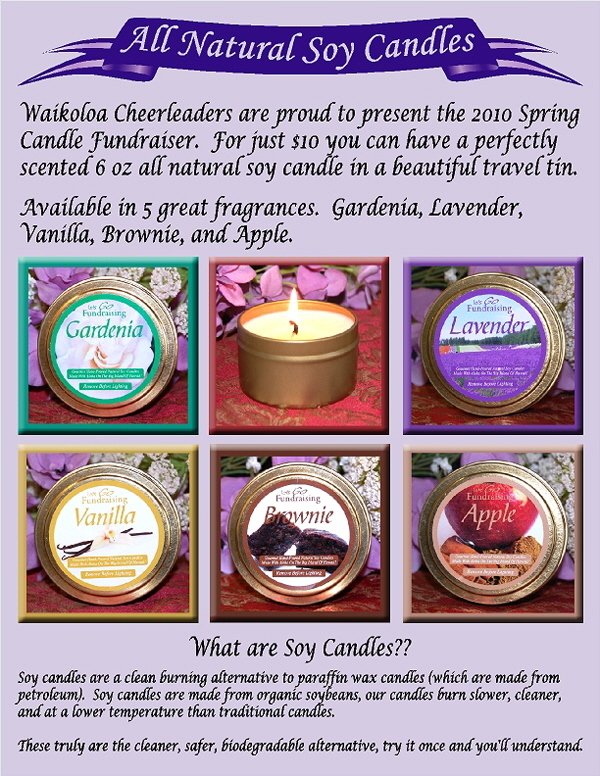 Your cheer squad or softball team (virtually any group or team) can offer these candles using an attractive sign-up sheet. Simply launch the program, take orders, and turn in your order with payment. We pack each order for easy delivery! Make sure you ask about our “custom logo” fundraiser. We can design and display your team or groups’ logo on each candle! These candles make a fantastic Mother’s Day or Holiday Fundraiser, but can really be conducted any time of year. 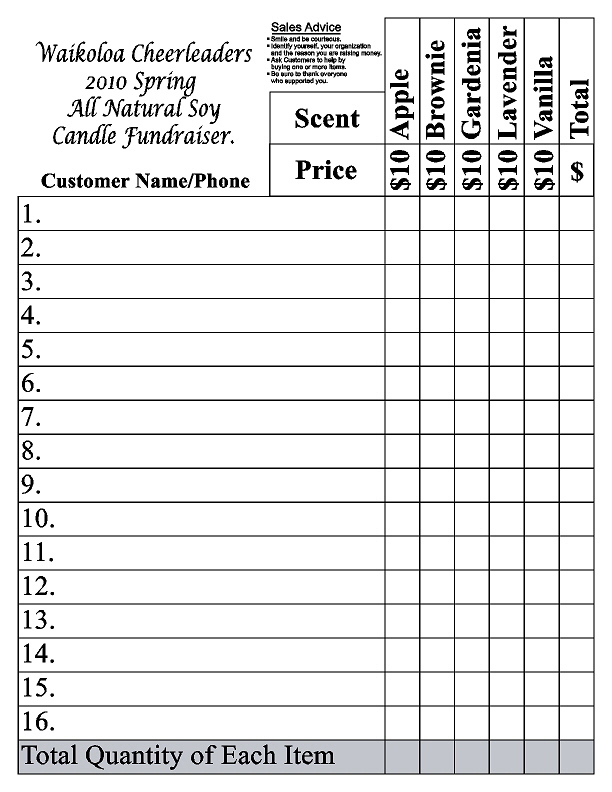 People LOVE candles, and they’ll be happy to support your group while purchasing a truly “green” fundraising product!